A Sign of the "Times"
The assistant editor of the Webster-Kirkwood Times and one of their photographers came to my house this morning to talk to me about my book "Who's Been Sleeping in My Bed(room)?" The photographer snapped a number of pictures outside in front of our house, and then more inside at the dining room table with me holding up my book. The she headed out for her next assignment. In preparation for Marty's arrival I finally came up with a Media Release I am somewhat comfortable with, so I gave her that along with an author bio. 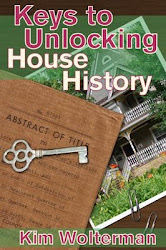 I also gave her a copy of an article I had written several years ago on how I researched my house, and provided her with the information about my talk on March 21 at the Webster Groves Historical Society. Hopefully we'll get a little plug for the meeting. All in all, she was here over an hour and we covered some good material. I'm a little disheartened though, because I think she is going to put this article in the Real Estate special section that they do once a year. No one reads that except people looking for a house (and how many are out there right now?) and realtors. Bummer! But what are you going to do when it's free? I was looking at the CBI Theater website, which is a great resource containing lists of other websites discussing the China-Burma-India theater during WWII, and I began perusing sites that contained pictures of the area. Lo and behold I came across a woman who had placed her dad's pictures on the web. And guess which ship he traveled on to get to India? Yep, the USS General Anderson on the SAME voyage as my dad! I quickly looked for a way to contact the author. Finding none, I did a search of her name on the Internet. I found a woman with the same name who had written a genealogy article. Right woman? Deciding to take a gamble, I shot her an email. Bingo! She is on vacation in Colorado right now, but she had her dad's journal with her. (Only genealogists travel with all their relatives in the suitcase. You never know what you might discover on a trip.) She emailed me his day to day entries on the "Andy". What a find! We are going to talk by phone when she gets back home to Boston so we can compare notes. I doubt that I have much to offer her, but I hope she'll let me put her dad's thoughts on the voyage in my book. His words paint quite the picture of life on the ship. Isn't the Internet great? I have been inundated lately by people asking me how the books sales are going for "Who's Been Sleeping..." While I was rather pleased by the sales in November and December, I haven't sold a book since. Could that be because I haven't done any marketing since then??? Yes, I do believe there is a direct correlation. I have a marketing plan for the book. And the reason I have a marketing plan is because I completed a book proposal. It's not a failure to plan, but rather a failure to implement the plan. I got caught up in developing my second baby and left my first born to fend for herself. Shame on me! Today I emailed the Missouri History Museum to inquire about the possibility of selling the book in their gift shop. I attached copies of the book cover (front and back), and suggested that the manager visit my website. Then I nonchalantly threw in that the Missouri History Museum Library and Research Center is mentioned several times in the book, and that one of the librarians there helpfully reviewed Section Two of the book. Hook, line and sinker? Hopefully. 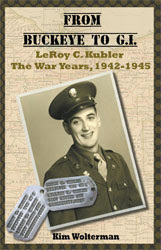 A second email with attachments was sent to the Missouri History Museum Library and Research Center in the hopes that they will purchase a copy of the book for their library. I still believe that the best way to really get my book out to its intended audience will be through giving talks on the subject matter of house research. I am excited about my first presentation to be held next month at the Hearth Room. The Webster Groves Historical Society is the sponsor, and will promote the talk and provide food. What a great way to get this adventure off the ground! All the "Anderson News" scans were emailed to Harry, and I assume he received them. They didn't bounce back to me, but he has not said anything about them yet. I had also sent him an aerial photo of a ship that I found in dad's things, asking if he knew what kind of ship it was. Harry did reply to that, indicating that it was a freighter. So I can now label that photo in the book. I guess I'll have to email him again and make sure he got the other 17 documents okay. I called my aunt one day last week to confirm a few facts regarding where my mom lived when dad took her back to Cincinnati before he shipped out. Other than that I have not worked on the book at all. My sister was staying here with me for a few days, so I got my normal work accomplished during the day but didn't want to leave her sitting alone while I worked on the book. She took off for home today, so I may squeeze in a little time this afternoon to work on the book a bit. Today's contribution to the book was having the ship "newsletters" scanned at my husband's office. When I tried to scan them on my 10 year old home scanner, the ink from the reverse side of the newsletter read through. Jim had just purchased a new high-end scanner/printer for the landscape architecture firm, so I decided to see what the new smart scanner could do. Not only do I want to include the newsletters in my book, if they are still legible when reduced to a 6"x9" format, I promised my new friend Harry at the USS General Anderson website that I would email them to him. Because I didn't want to be the one to break a machine that costs more than the average family makes in a year, I had Mindy scan the documents for me. The plan was to scan them directly to my email. The machine is super-fast, so before long she hit the "Send" button. Failed. Are you smarter than a scanner? Maybe my mailbox couldn't handle the file size? Super-expensive scanner did not store the documents, so Mindy had to start over, this time emailing them to herself. Failed. On the third try she scanned only six pages at a time to email to herself. She then put the documents on a thumb drive for me to bring home. Success! Now I just need to place them in the book, and see if Harry's inbox can handle this size file!